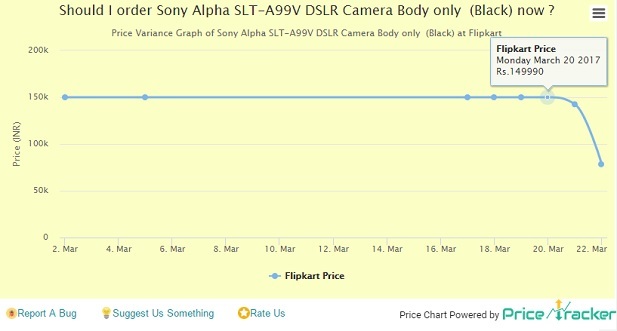 Flipkart Has Come Up With Another Awesome Deal On DSLR Where You Can Buy Sony Alpha SLT-A99V DSLR Camera Body only in Just Rs 78370. Where Regular Price Of The Same Product is Rs 142491. You Can Also Get Extra 10% Off When You Pay Amount Via SBI Credit Card. Follow Below Mentioned Steps To Grab the Deal.